Allan Scott and George Haight's play Goodbye Again had a successful run of 216 performances in the Broadway season of 1931/32 starring Osgood Perkins. Ben Markson (Gold Diggers of 1933, What Price Hollywood?) wrote the screenplay for Warner Brothers film directed by Michael Curtiz. This screwball comedy gem from Curtiz shares its 1933 release date with the thriller classic Mystery of the Wax Museum, the outstanding Philo Vance mystery The Kennel Murder Case, and the feminist comedy-drama Female. I am ever-impressed by Curtiz's versatility and the quality of his work. 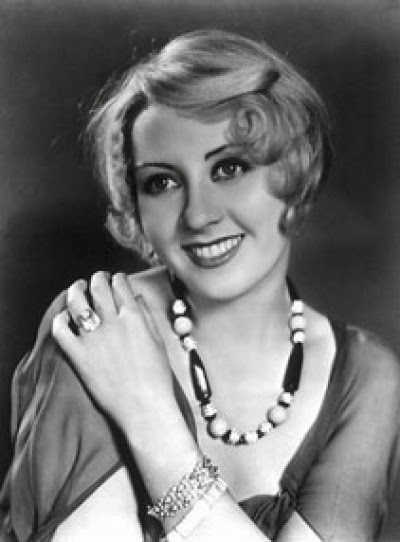 Joan Blondell is Ann Rogers, the attractive and efficient secretary to a successful author. Her relationship with her boss is more than business and we see just how much more as the story progresses. She's a cookie that is tough on the outside and all goo inside when it comes to the leading man, but she can only be pushed so far! We like Ann and if it is Bixby she wants, then we want him for her. Warren William stars as Kenneth Bixby the author of such best selling titles as A Saint in Scarlet, Ecstacy, The Woman Who Gave and Miriam. He's going to run into trouble with Miriam. The ladies love Kenneth Bixby. For one thing, he looks like Warren William. His lectures are sell-outs and bookstores can't keep copies on the shelves when Bixby shows up for autograph sessions. Genevieve Tobin (No Time for Comedy) is the former Julie Clochessy, now Julie Wilson. She and Kenneth were at college together and shared a passion divine. Julie has never recovered from that first love. She feels unfaithful to Kenneth ever since she married Harvey Wilson of Cleveland, and Julie is convinced she inspired Miriam. 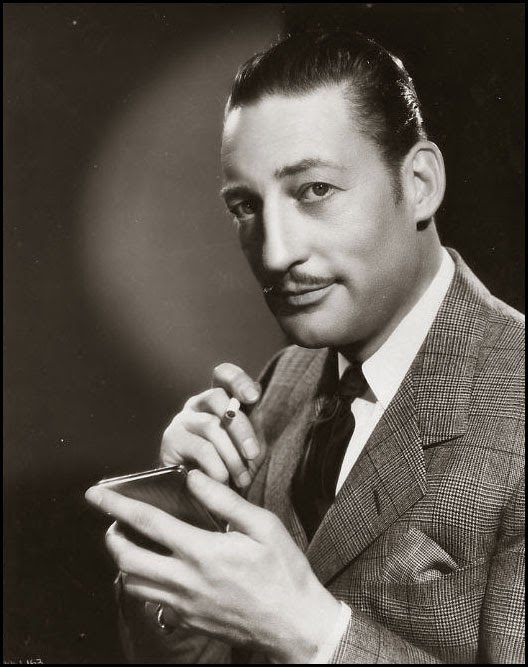 Hugh Herbert plays Harvey who is an understanding sort. Perhaps too understanding. Perhaps he is just tired of constantly being negatively compared to Kenneth Bixby. When Bixby's tour brings him to Cleveland, it brings Julie once more into his life. At first, he doesn't quite remember the woman (after all, he's Kenneth Bixby), but Julie very easily stirs the old embers and book signings and lectures and radio broadcasts go out the window. The couple spends the night in her country home. Ostensibly, Kenneth was to disabuse Julie of the notion of togetherness. Yeah, right! Ann is left wondering and worrying. She also has to deal with Arthur Westlake and Elizabeth Clochessy. Arthur, a lawyer, is engaged to Julie's younger sister and they are mightily concerned about Julie's strange and socially unacceptable behavior where it concerns Kenneth Bixby. It does not look proper. What is Ann going to do about it? Further, Ann must handle Harvey Wilson who shows up only wanting to take a look at the paragon that is Kenneth Bixby. It's a mess. 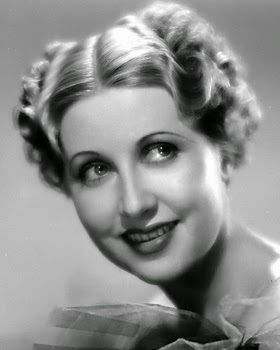 Wallace Ford (T-Men) is a hoot as the uptight Arthur, as is Helen Chandler (Dracula) as the weepy Elizabeth. Kenneth regrets his dalliance with Julie, but what's a poor fellow to do? Won't Ann help? Ann will not. She may be broad-minded, tolerant and sophisticated, but she is also hurt. Ann is determined to leave. Julie is determined to stay. Julie's family won't leave until Kenneth makes an honest woman of Julie. What is to be done? Kenneth's plan on working himself out of the Julie trouble and winning Ann back involves staying in bed and acting like a maniac as the Wilson faction pursues a legal and binding solution. He also enlists the drollery of Hobart Cavanaugh (Margie) and his youngster at a mock Hearing. I'll be darned if Kenneth's plan doesn't work. The plan and the movie works for me due to Warren William's commitment to the zaniness. Much is made by commentators in later years of the superb comedy performances of Cary Grant and his fearlessness as a handsome man not being afraid to look silly. Well, that is just the sort of flair Warren William brings to his comedy outings and it is on fine display in Goodbye Again. PS: Your ears do not deceive you when watching Goodbye Again. That is the charming melody of Harry Warren's I've Got to Sing a Torch Song from Gold Diggers of 1933, wafting appropriately throughout the score. 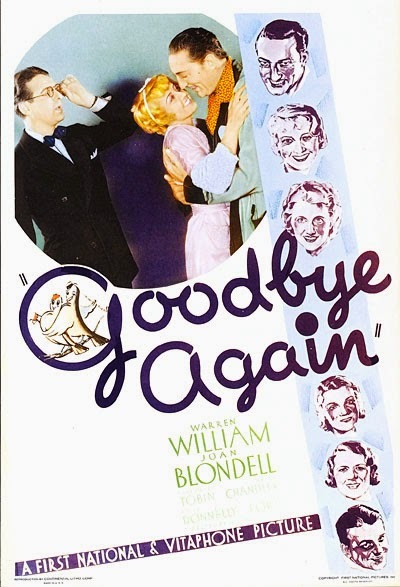 Eight years after Goodbye Again, Warner Brothers returned to the play, this time the screenplay is by Earl Baldwin (Wonder Bar, Brother Orchid) with additional dialogue by Philip and Julius Epstein (Casablanca, Mr. Skeffington). The directing reins were handed to Lloyd Bacon. 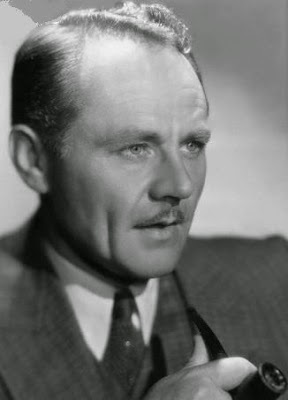 Mr. Bacon directed many of my personal favourites including It Happens Every Spring, 42nd Street, Marked Woman, Action in the North Atlantic and Home, Sweet Homicide. The main triangle in this outing features Ann Sheridan as Ann, George Brent as Kenneth and Osa Massen as Julie. 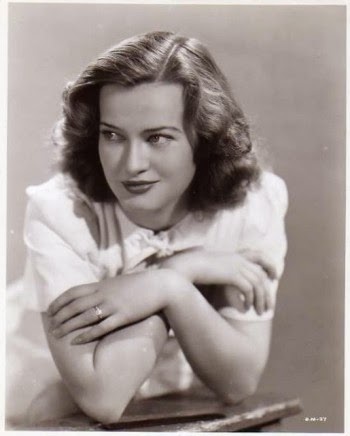 DDanish-bornMassen was a photographer turned actress whose best remembered films might be A Woman's Face, Deadline at Dawn and You'll Never Get Rich. The multilingual Massen even coached John Wayne for his Swedish accent in the Oscar-nominated The Long Voyage Home. 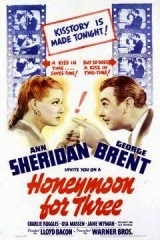 The premise of Honeymoon for Three sticks to the play, but it is noted that in 1941 Ann is not sharing a hotel room with her boss and Ann is pressuring Kenneth to answer her marriage proposal. Kenneth and Julie strive to visit her country home, but get lost along the way ending up at a place called the Tomahawk Inn for dinner. The couple's indiscretion is hardly that, but it will be of no consequence when they meet up with all the Wilson clan plus. Certainly, Julie has no doubt as to the emotional connection she shares with Kenneth. Charlie Ruggles was cast as the hubby Harvey. Charlie, as always, proves himself quite adept at the comic aspects of the character. His interplay with Ann Sheridan and George Brent is delightful. However, at 55, Mr. Ruggles was not quite the perfect visual match as the hubby of the 27 year old Osa. It distracted from the idea of the couple. The interfering Arthur and Elizabeth are on hand to complicate matters. Elizabeth is now Julie's cousin, not sister, and she is played with verve by Jane Wyman. William T. Orr, later producer of Warner Bros. 50s TV shows, is the annoyingly officious Arthur. Additions to this version include an array of young actors, partners of Arthur, attempting to get their foothold in the impending legal brouhaha. Lee Patrick is an adoring fan who names her children after famous authors. Her attempt to get Kenneth Bixby to be godfather to Kenneth Bixby Pettijohn is amusing and impactful. Walter Catlett gets away with some great double takes at the Tomahawk Inn as a waiter constantly befuddled by the appearance of Brent at one table with the attractive Julie and then miraculously showing up at a table filled with husbands, cousins and secretaries. The sorting out of all these confusions occurs at Arthur Westlake's office. Personally, I didn't find the finale as enjoyable as the shenanigans put on by Bixby in Goodbye Again. This script benefited from the wit of the Epsteins and the game cast. George Brent and Ann Sheridan had nice chemistry in their only onscreen pairing. They would be married the following year, but the union would only last one year. I love George Brent in comic roles, but would seek out Snowed Under and Out of the Blue before watching Honeymoon for Three again. Warren William owns Kenneth Bixby. Honeymoon for Three provides the expected chuckles, but Goodbye Again has that true anarchic screwball touch that puts it at a different level. You always have the best selection of films to review! Both of these sound good and I can't resist any movie that is set in my beloved Ohio. Thanks so much. Both movies show up from time to time on TCM, so keep your eyes out. In both films they retain a line that is mildly disrespectful to Cleveland. On the tour all places are starting to look alike to Kenneth Bixby. People today complain about all the remakes Hollyweird puts out, but I wonder if this sort of thing mattered to audiences back then if they could remake a movie after only eight years. And I know that's not even the shortest amount of time. Also, John Wayne with a Swedish accent? Since many movies basically disappeared after their first run until TV came along, I don't imagine many people got that upset about remakes. Probably left the theatre wondering why such-and-such seemed so familiar. "The Long Voyage Home" is a hauntingly beautiful Ford picture. 33-year-old actor John Wayne does a lovely job in the ensemble. Just as professional, but light years away from western icon Wayne.
" I am ever-impressed by Curtiz's versatility and the quality of his work." Same here. Good point in your comment about movies disappearing after their run, and so leaving room for remakes. I've often wondered what the casts and crews of films made in those days would think if they could come back to earth and watch TCM for one day, or scan the selection of DVDs at a store, or online. Not only that their work is still with us, that they have a legacy and a kind of immortality, but that we appreciate their work on perhaps a different level than they saw it. I'm not sure we always (apart from yourself, of course) appreciate "anarchic screwball touch ." I've had those thoughts as well. Some people are born artists and some are so unconsciously. Many in the creative side of movie-making probably did their jobs with no expectation of appreciation beyond that of a job well done. I would hope they would take pleasure in our tributes and enjoyment of a good day's work.